Denis Kleinfeld is highly regarded as a lawyer, teacher and author. He practices law at Kleinfeld Legal Advisors, P.A., is a Professor of Law at the LLM Wealth Management Program at Texas A&M School of Law in Fort Worth, Texas, and is a widely published author and commentator. 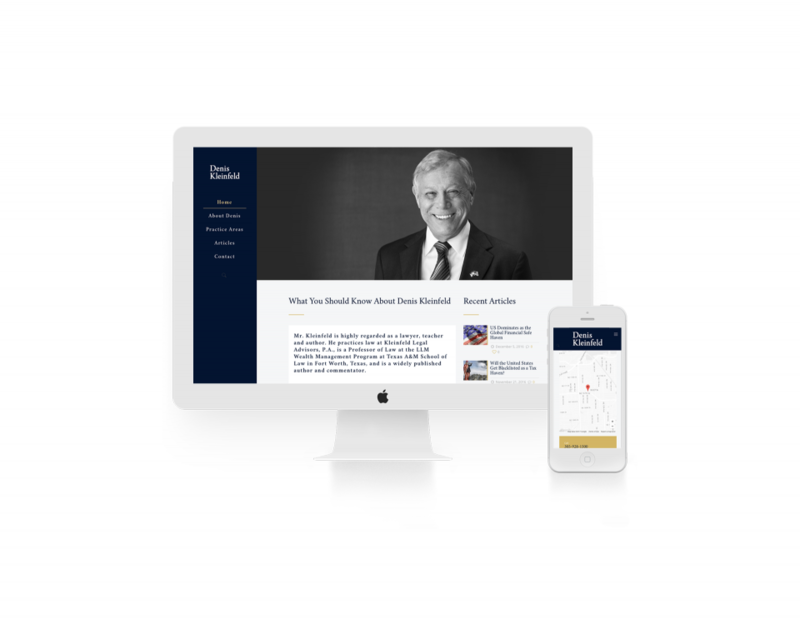 As a frequent writer for newsmax.com Denis was in need of a website to showcase his articles and law practice based in North Miami Beach, Florida. I created a simple and easy to use website that his staff can utilize to showcase his writings and services.